by Frank C. Stewart and Ruth C. Stewart. Weld LP employs 3 full-time employees and 1 part-time employee. Weld LP Gas Company specializes in retail sales of propane to Home, Farm and Ranch, and Business as well as some propane related equipment and some minor service and repair. Weld LP Gas Company serves most of Weld County and parts of Adams, Boulder, and Larimer counties. 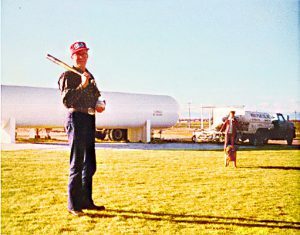 Weld LP Gas serves an area approximately fifteen miles on each side of US Highway 85 North of Brighton, Colorado to Nunn, Colorado.